Sponsor: ABC Humane Wildlife Control and Prevention, Inc. Description: Scholarship is open to incoming and current female college students studying or planning to study the fields of science, engineering, mathematics, or technology. Applicant must submit an essay on why they are passionate about STEM. Description: Contest is open to people of all ages. Contestants must submit a poem or poems that explore and illuminate positive visions of peace and the human spirit. There is no entry fee for youth 12 years of age or under. Description: Competition is open to students between the ages of 13 and 18 years of age. Applicant must explain a big scientific idea in fundamental physics, life sciences or mathematics with a short video (three minutes maximum). Description: Scholarship is open to current college students in Missouri who are interested in a career in outdoor communications. Description: Scholarship is open to current college students who have worked at an ACA-accredited summer camp in Northern California for two summers with at least one summer as a counselor. Description: Scholarship is to high school seniors and current undergraduate students. Applicant must submit an essay on how they plan to use their education to make a positive difference in the world. Description: Scholarship is open to incoming college freshmen and current undergraduate students. Applicant must submit an essay on a given topic related to heat stress and/or damaging UV rays. Description: Scholarship is open to incoming and current college students in the United States or Canada. Applicant must submit an article in and around their experience with hot tubs, backyard experiences, how hot tubs improve lives, etc. Description: Scholarship is open to incoming and current Native American, Alaska Native, and Native Hawaiian students who are/will be pursuing the arts. Description: Scholarship is open to high school seniors and current college students who aspire to a career in the technical aspects of broadcasting. Sponsor: Michael P. Fleming & Associates, P.C. Description: Scholarship is open to high school seniors and undergraduate students. Applicant must submit an essay with ideas and solutions to reduce drunk driving car accidents. Description: Contest is open to high school, undergraduate and graduate students. Contestant must submit a written piece of work about any aspect of the Spanish Civil War, the global political or cultural struggles against fascism in the 1920s and 1930s, or the lifetime histories and contributions of the Americans who fought in support of the Spanish Republic from 1936 and 1938. See website for specific requirements for age level. Description: Scholarship is open to legal U.S. residents who are 18 years of age or older and are or will be attending an accredited college or university. Applicant must submit an essay on who has influenced them. Description: Scholarships are open to graduating high school seniors who will be attending college in the fall and college seniors with plans to attend a graduate-level program. Applicant must have plans to study in a program related to the healthcare industry. Description: Scholarship is open to incoming and current college students with a passion for Internet Marketing. Students who are currently studying or intend to be in the areas of Marketing, Business, IT or Communications may be interested in this scholarship but is open to all students. Applicant must submit an essay on a given topic related to internet marketing. Description: Scholarships are open to high school seniors and college students who are registered or pre-registered to attend an accredited school in the United States. Applicant must be pursuing a degree in a food service/hospitality field, or something directly related. Description: Scholarship is open to high school seniors and current undergraduate and graduate students pursuing a Graphic Design or Applied Arts degree. Applicant must submit a design and an essay on why they are passionate about pursuing a degree in Graphic Design or Applied Arts. Description: Scholarship is open to students who are planning on attending an accredited U.S. college or university during the Fall 2018 semester. Applicant must submit an essay on a given topic related to birth injuries. Description: Scholarship is open to graduating high school seniors (May 2018) or freshmen/sophomores in college who are studying law enforcement, law, criminal justice or a related field. Description: Scholarship is open to currently enrolled undergraduate students through age 24. Applicant must submit an essay on a given topic related to freedom of religion. Description: Scholarship is open to graduating high school seniors and current college students who are or will be majoring in an equine-related field. Description: Scholarship is open to graduating high school seniors and current freshmen and sophomores in college who are/will be studying law enforcement, law, criminal justice, or a related field. Description: Scholarship is open to students pursuing their first Bachelor’s degree, Associate’s degree, or Certificate who are dependent children, stepchildren, or legally adopted children of an eligible law enforcement officer or firefighter who was killed or totally and permanently disabled in the line of duty. 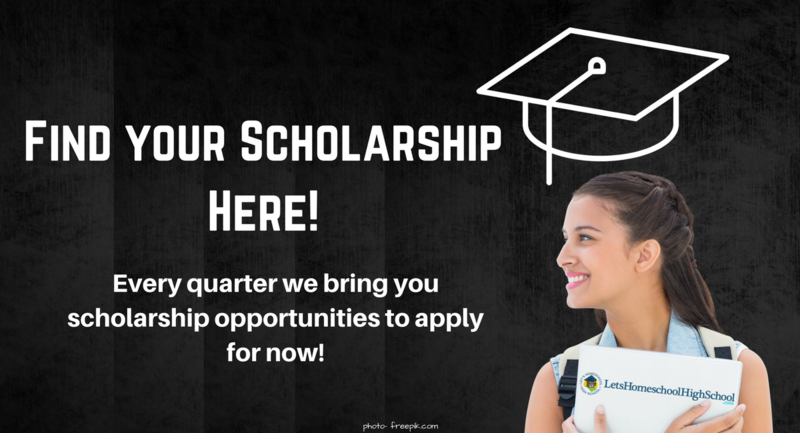 Description: Scholarship is open to students currently enrolled in college or expected to enroll within 12 months. Applicant must submit a short survey form about moving to college. Description: Scholarship is open to incoming and current college students who are United States citizens and have at least a 3.3. GPA. Applicant must submit an essay on their goals and about an opinion they have about a controversial topic. Description: Scholarship is open to U.S. citizens who are high school sophomores, juniors and seniors with a 3.0 GPA or higher. Applicant must submit an essay explaining how they will be using their summer vacation. Description: Scholarship is open to incoming and current college students. Applicant must submit an essay on a given topic related to environmental benefits of recycling vehicles. Description: Scholarship is open to incoming and current undergraduate students who are Tennessee residents. Applicant must have financial need. Preference will be given to individuals who demonstrate a willingness to serve the general public through past civic responsibilities, and secondly, to students who have expressed an intention to become an attorney. Description: Scholarship is open to graduating high school seniors and current undergraduate and graduate students. Applicant must submit an essay on the importance of leadership. Description: Scholarship is open to graduating high school seniors with hearing or other physical hardships who have demonstrated a love of education. Preference may be given to students not receiving other substantial financial aid, and to students in East Baton Rouge Parish. Description: Award is open to members of the honor society in college or graduate school. Applicant must submit a paper of 25 (or less) typewritten double-spaced pages. Description: Scholarship is open to high school seniors and current undergraduate students who are first-generation U.S. citizens (born outside the U.S.), refugees, or immigrants (legal documentation is not required). Applicant must have at least a 3.4 GPA. Description: Scholarship is open to incoming college freshmen and current college students. Applicant must submit an essay on why attending college is important to them. Sponsor: Maple Flooring Manufacturers Association, Inc. Description: Scholarship is open to graduating high school seniors and current college students who will be enrolled during the 2018-2019 academic year. Applicant must submit a personal essay answering one of six given questions. The scholarship is only open to specific majors (too many to list) – see website for details. Description: Scholarship is open to students ages 13-18 and attending grades 8-12 in the United States or Canada, or an American international school abroad, or be enrolled in a U.S. homeschool program. Applicant must share a travel story. Description: Scholarship is open to high school seniors and current college students between the ages of 18 and 22 years of age. Applicant must be a member of Illinois State Credit Union in good standing. Applicant must create a two-minute video on financial education and share it on Facebook. Description: Scholarship is open to any student who is pursuing a career in Education. Applicant must submit an essay on why they want to become a teacher. Description: Sweepstakes is open to legal residents of the United States who are at least 13 years of age and enrolled in high school or college. Students can enter the sweepstakes daily. Description: Scholarship is open to graduating high school seniors and current undergraduate, law school, and graduate school students. Applicant must submit an essay on a given topic related to how businesses can lessen the risk of personal injury. Description: Scholarship is open to students currently attending or planning to attend their first year of college or graduate school in the upcoming fall or spring semester. Applicant must submit an essay on a given topic related to the homeless population. Description: Scholarship is open to U.S. citizens and permanent residents who will be attending law school in 2018 in the United States. Applicant must have at least a 3.0 GPA. Description: Scholarship is open to students currently attending or planning to attend their first year of college or graduate school in the upcoming fall or spring semester. Applicant must submit an essay where they would choose to travel in the world to help one community/group of people without cost being a factor. Description: Scholarship is open to education majors who intend to teach scholastic journalism. Applicant must submit a short personal essay, an application form, two recommendation letters, and their college transcript. Description: Scholarship is open to U.S. citizens and permanent residents who will be enrolled full-time in an accredited community college, four-year baccalaureate degree, or accredited law school in the fall of 2018. Applicant must submit an essay on whether they believe a state should be allowed to require motorcycle rider be required to wear helmets. Description: Scholarship is open to high school seniors, undergraduates and graduate students who have demonstrated outstanding achievement, participation and leadership in school activities and work experience. Applicant must have an interest in pursuing a career in the health and fitness related fields. Only the first 1,000 applications will be accepted. Description: Scholarship is open to high school seniors and college freshmen and sophomores who have participated in some form of high school athletics. Description: Applicant must be enrolled, or due to be enrolled, in full-time university education for the semester they are applying to receive the scholarship. Applicant must create a resume based on the life of any fictional or non-fictional character, from TV, history, literature or myth. Description: Scholarship is open to students attending a two or four-year college or university in the Fall of 2018. Applicant must have been involved in caregiving for a family member. Description: Scholarship is open to vegetarians and vegans. Applicant must submit a video on topics related to vegetarianism and/or veganism. Description: Scholarship is open to students currently attending or planning to attend their first year of college or graduate school in the upcoming fall or spring semester. Applicant must submit an essay on a given topic related to driver safety. Description: Scholarship is open to students who can demonstrate plans to enroll for full-time admission, or have proof of current full-time enrollment, at an accredited institution. Applicant must submit a completed application, an essay on a given topic related to financial literacy, and an official transcript. Description: Scholarship is open to Connecticut residents who are high school students or adult learners and are in a military family, which includes being a dependent or spouse. The applicant must be entering his/her freshman or sophomore year in 2019 at an accredited college or university. Description: Scholarship is open to deserving Louisiana students who are or will be majoring in an insurance-related field at a Louisiana university, college, or community college. Description: Scholarship is open to graduating high school seniors and college undergraduate students accepted to or currently enrolled at an accredited institutions of higher learning in degree programs in the fields of transportation logistics, supply-chain management, traffic management, transportation safety, and/or related transportation industry operations and services. Description: Scholarships are open to students with an interest in aviation. Multiple scholarships available. Description: Scholarship is open to students who will be attending a college or university in 2018 and applicant must have at least a 3.0 GPA. Applicant must submit an essay on why you shouldn’t drink and drive. Description: Scholarship is open to students who will be attending college in Fall 2018. Applicant must submit a short video sharing what they will do in life to make people smile. Sponsor: The Perecman Firm, P.L.L.C. Description: Scholarship is open to incoming and current college students who will be enrolled during the Fall 2018 semester. The applicant or a close family member must have been diagnosed with a form of autism, including Asperger syndrome. Description: Scholarship is open to students 13 years of age or older who are legal residents of the United States or the District of Columbia. Applicant must create a free Circkled in account and submit an essay on their best summer. Description: Scholarship is open to current undergraduate and graduate students with at least a 2.8 GPA. Applicant must have worked in the beauty, spa, or aesthetic medical field in the past or intend to do so after college. Description: Scholarship is open to incoming and current college students. Applicant must make a pledge to not drink and drive and not to text while driving. Description: Scholarship is open to incoming and current college students who are either survivors of childhood cancer or have had a loved one who has been directly affected by childhood cancer. Description: Scholarship is open to high school seniors and college freshmen and sophomores who are at least 18 years of age and U.S. citizens. Applicant must have financial need. Applicants selected for the program will complete work sessions during each summer break in Washington, D.C. If selected, student will be given an annual salary, benefits package and up to $18,000 per calendar year for tuition, mandatory fees, books and supplies. Description: Scholarship is open to U.S. residents enrolled in high school, college, or trade school. Applicant must submit a 2-5 minute video on saving money. Description: Scholarship is open to students enrolled in a degree-granting program at an accredited two or four-year college or university in the United States. Applicant must submit an essay describing how they anticipate design thinking or design tools will impact them and their career choice. Description: Scholarship is open to graduating high school seniors and current freshmen, sophomores, and juniors in college or a trade school. Applicant must fill out a short photo and share a picture of their at home study spot on Instagram. Description: Scholarship is open to students 13 years of age or older who are legal residents of the 50 United States or the District of Columbia who are currently enrolled (or will enroll no later than the fall of 2024) in an accredited post-secondary institution of higher education. Applicant will need to submit a short response to a given prompt. Description: Scholarship is open to any current student of an accredited U.S. college or university. Applicant must submit an essay on a given topic related to plastic surgery. Description: Scholarship is open to high school and college students who are U.S. citizens and carry at least a 3.0 GPA. Applicant must submit an essay on how the company can be a positive influence within their education and career development. Description: Scholarship is open to high school seniors and undergraduate and graduate students who live in the United States. Applicant must submit an video on the theme “Car crashes don’t happen by accident” and explain why the word, “accident” is not an accurate description of a motor vehicle collision. Sponsor: Church of God In Christ Charities, Inc. Description: Scholarships are open to high school graduates who will be attending a college/university full-time in the fall as well as those already enrolled and attending full-time in an accredited college/university pursuing an undergraduate degree. Graduate and/or doctoral degree students must be taking a minimum of 9 credit hours. Description: Scholarship is open to students currently enrolled in post-secondary education or high school seniors/recent high school graduates who are pursuing post-secondary education in the criminal justice field. Description: Scholarship is open to incoming and current college students who will be enrolled during the Fall 2018 semester. Applicant must submit an essay on a given topic related to distracted driving. Description: Scholarship is open to incoming and current college students who will be attending college during the fall of 2018. Applicant must submit an essay on distracted driving habits. Description: Scholarship is open to incoming and current undergraduate college students with at least a 3.0 GPA. Applicant must submit a short introduction and an essay on how attending college will help them leave their mark on the world. Description: Schoalrship is open to minority students who are incoming or current college students at Historically Black Colleges and Universities (HBCUs). Description: Scholarship is open to current college students with an interest in horror writing. Applicant must submit a piece of their horror writing. Description: Scholarship is open to students accepted to a college or currently enrolled as an undergraduate student. Applicant must submit an essay on the biggest challenge they have overcome and a video sharing their story. Description: Scholarship is open to incoming and current undergraduate and graduate students. Applicant must submit an essay on what their parents taught them about personal finance. Description: Scholarship is open to Florida residents who are accepted or currently enrolled in an accredited college or university in the U.S. Applicant must submit an essay on one of three given topics related bing drinking, hazing, or the Opioid Crisis. Description: Scholarship is open to high school sophomores, juniors, and seniors, and college freshmen. Applicant must submit an essay on a topic related to volunteerism. Description: Scholarship is open to graduate students in colleges and schools of engineering, natural science, public administration (or closely related fields) who have an interest in stormwater quality, management or finance. Applicant must be attending a Florida college or university. Description: Scholarship is open to prospective and newer students enrolled in any Esthetics program at an accredited school. Description: Scholarship is open to Utah residents with valid U.S. social security numbers who are 18 years of age or younger. Students must participate in the 2018 summer reading program at their local public library. Description: Scholarship is open to students currently enrolled in higher education or actively applying to a college or graduate/professional program. Applicant must submit an essay on a given topic related to juvenile detention centers. Description: Scholarship is open to current, full-time students attending an accredited four-year American university or college. There is no age nor specified major requirement. Applicant must submit an essay or video sharing their thoughts on a given Helen Keller quote. Description: Scholarship is open to U.S. residents 18 years or age or older who are current college students (unfortunately contest is not open to students in New York or Florida). Applicant must fill out a short form. To receive an additional entry, applicant must submit a blog post on how to pay for college while avoiding excessive debt. Description: Scholarship is open to students currently enrolled in an accredited two or four-year college. Applicant must be a legal resident of the United States and have at least a 2.0 GPA. Applicant must submit an essay on a book or article they have read that has inspired them. Description: Scholarship is open to U.S. citizens and permanent residents who are graduating high school seniors and current college students. Applicant must submit an essay on what makes a great road trip. Description: Scholarship is open to students enrolled as an undergraduate or graduate student at an accredited college or university in the U.S. or Canada. Submissions from international students are welcome. Applicant must create a lightly GIF that shows a fast way to get your space cleaned. Description: Scholarship is open to students 13 years of age or older who are legal residents of the 50 United States or the District of Columbia and who are currently enrolled (or will enroll no later than the fall of 2024) in an accredited post-secondary institution of higher education. Applicant must share an incident in their life, funny or embarrassing (fact or fiction) that will make us laugh. Description: Scholarship is open to students at least 16 years or older who plan to attend, or are currently attending, college or graduate school. Students may be of any nationality and reside in any country. Applicant must submit a short form and a short essay. Description: Scholarship is open to current students in an eligible undergraduate program or a graduating high school senior, working towards a bachelors or associates degree. Applicant must submit an essay on a given topic related to technology. Description: Contest is open to students in elementary school through graduate school. Applicant must submit a video promoting U.S. transportation design and construction industry and why young people should pursue a career in the transportation design and construction industry. Description: Contest is open to students between the ages of 13 and 18. Contestant can group up to five poems to be considered for the contest. Description: Scholarship is open residents of South Dakota at the time of high school graduation with at least a 24 on the ACT or 1090 on the SAT and who had a cumulative high school GPA of at least 3.0 prior to graduation. Applicant must attend a university, college, or technical school that provides instruction from a campus located in South Dakota. Description: Scholarship is open to graduating high school seniors and current undergraduate students who are taking courses in Accounting, Banking, and other finance-related fields. Description: Scholarship is open to female students who are at least 16 and high school seniors or a current undergraduate or graduate student. The scholarship will be awarded to a female student who demonstrates a passion for computer science and is looking to make an impact on the industry. Description: Scholarship is open to female high school and college students who want to start their own online business. Applicant must share all the reasons they are scared to start their business and who their female boss role model is. Description: Scholarship is open to graduating high school seniors and current college students. Applicant must create a business plan infographic for one of the given industries provided. Description: Scholarship is open to students enrolled at a Community College or University. Applicant must submit an essay on what they think would really make drivers stop texting while driving. Description: Scholarship is open to residents in Allegheny County, Pennsylvania who are accepted or currently attending a two-year or four-year university, post-secondary technical or trade school. Description: Scholarship is open to any student pursuing a post-secondary education who is both interested and engaged in serving their community. Description: Scholarship is open to students 13 years of age or older who are legal residents of the 50 United States or the District of Columbia and are currently enrolled (or will enroll no later than the fall of 2024) in an accredited post-secondary institution of higher education. The applicant will need to submit a short response to a given prompt.